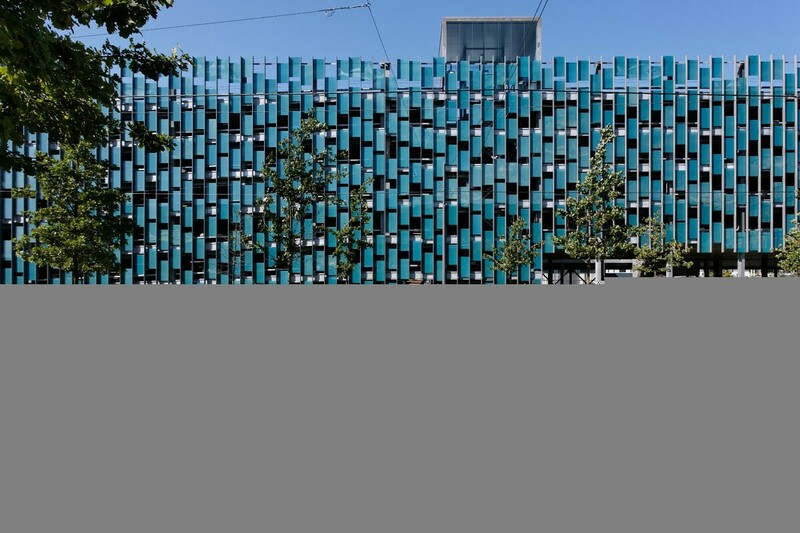 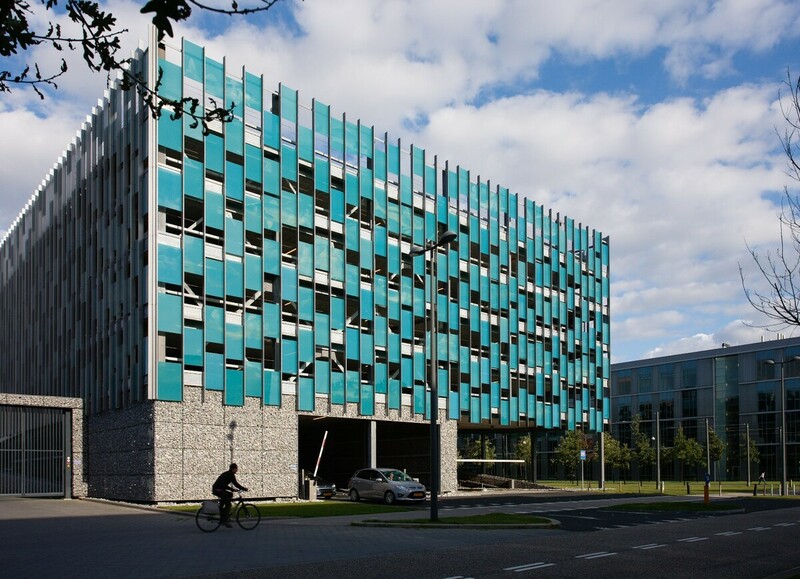 The parking garage is located on the central avenue on the High Tech Campus Eindhoven. 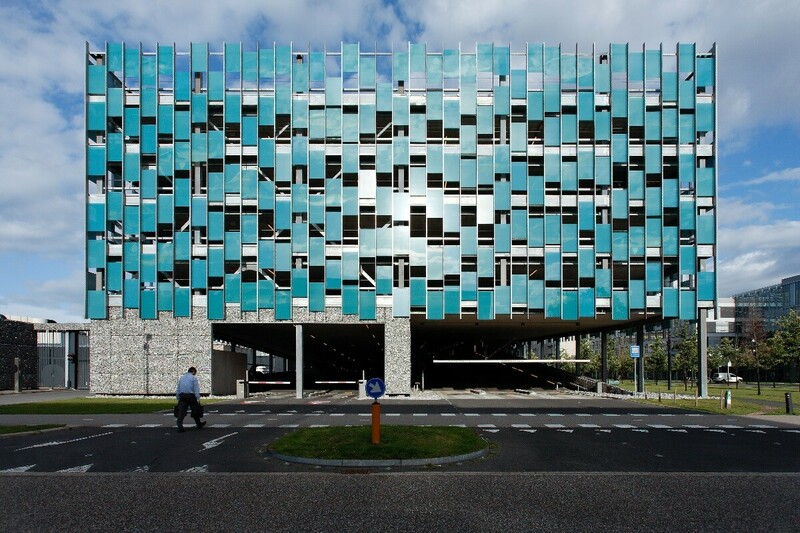 This spacious garage stylishly announces the entrance of the campus. 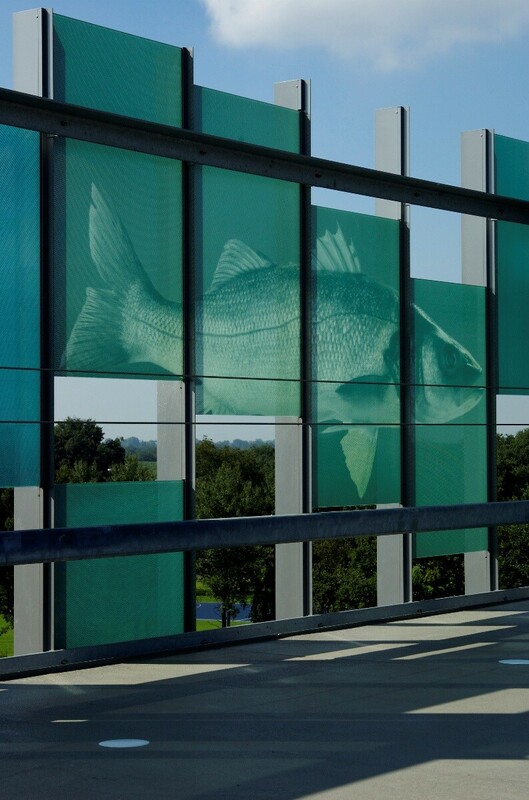 A fun feature is the fish bobbing in the aquamarine façade symbolising the coming and going of cars. 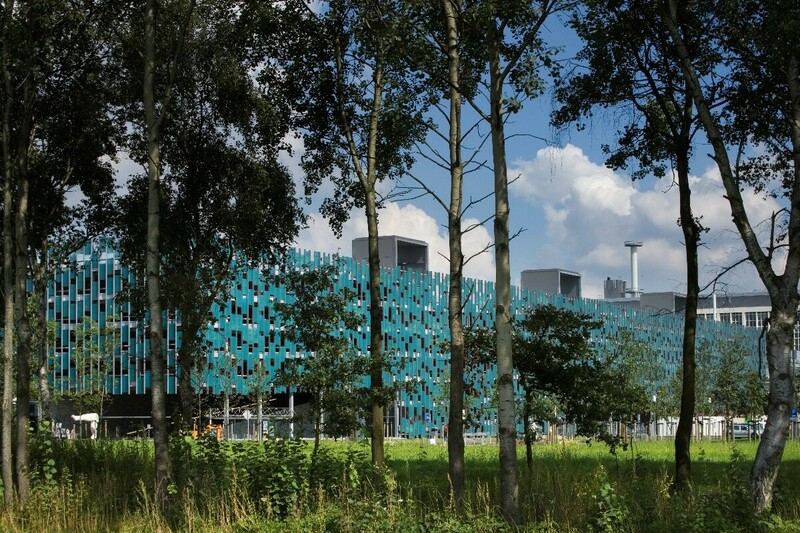 The combination of glass and aluminium ensures that the building is a perfect fit with the other buildings on site.